To dream of purchasing a new Yacht is a joy and this idea is, naturally, accompanied with imaginings about the day of delivery to the intended use thereafter. Seldom are prospective Owners aware of the true depth of knowledge and diversified talents that go into each and every Yacht, no matter her size. The idea of owning a new Yacht becomes more a complex and detailed one when grounded with reality, but hopefully, it will have a pleasant ending. Proper guidance, with a dash of trial and error, can vastly aid toward the project being realised as close to the desired result as possible. The objective of this book is to guide the reader through the labyrinth of Yacht building. One way is a checklist that is included in each section right from the very beginning of the concept through to the delivery and cruising thereafter. It can be confidently said, that no matter one’s experience with supervising new builds or one’s hard earned professional title, the inevitable pit-falls can be reduced dramatically if a formal procedure is followed from the very start to the finish. The process of managing and supervising a new build is simply too vast to enable one to remember absolutely everything! 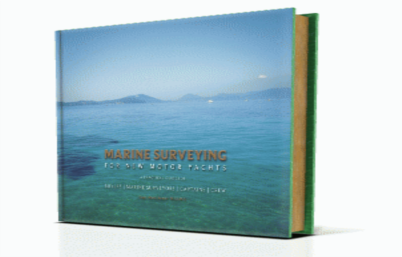 Whilst a lot of the information herein may be straight forward for the experienced Yacht Captain or Marine Surveyor, it may prove however, to be inspiring for prospective Owners. It has also been designed to help him or her understand and contribute in the amazing experience of building a new Yacht. I have incorporated the knowledge gained during my 30 years of active Professional captaining experience. This also includes a diploma of Marine Surveyor, a certificate in Naval Architecture, an A grade Electrical license and above all, supervision in multiple new builds, some of which have incorporated cutting-edge technology to cruise the seas with the maximum efficient functioning for both guests and crew. Furthermore, in addition to my own personal experience, I have included the professional wisdom from eight different sources to settle certain key questions, which will shed light on many of the myriad issues that arise during a new build. Note: generally, nothing compares to employing a professional Naval Architect or Marine Surveyor to oversee the new build. What I propose is, that everyone involved in the new build can, in their own particular way, follow the checklist included in this book to help achieve the goal of building and delivering a successful new Yacht.